What Minor Should You Choose for Nursing School? The decision to allow students to choose their minors in nursing school varies by institution. Attending nursing school comes with a host of important decisions to make about the future. Choosing the right minor can make an enormous difference in the marketability and income potential for prospective nurses. Talking to a nursing school advisor will help students make the best decisions about what minor they should choose when beginning a nursing program. When nursing students get the facts, they can begin their journey to becoming nurses. Do All Nursing Schools Allow Students to Choose Minors? Many programs only allow students to choose from specific minors to go along with their respective nursing degrees. These minor programs are generally created according to the demands in the nursing field, and they usually help to make nursing students more marketable once they graduate. A few examples of the minors that nursing students may choose in such programs include integrative human physiology or health promotion. Students must notify their advisor if they plan to pursue a minor along with their nursing degree. Other programs allow students to work with an advisor to come up with the best minor to accompany their careers in nursing. Advisors help students find minors that match up well with their respective nursing curriculums. The advisors may suggest typical nursing minors such as nutrition, psychology, or sociology. Nursing students have complete control over their decision for a minor in some nursing programs. Many use their personal interests outside of the nursing profession to choose a minor. For example, some students may be interested in music, foreign languages, math, or political science. They have the freedom to enter their minors at will with no decision-making power given to the nursing programs or advisors. Some of the most popular minors in the field of nursing include psychology, nutrition, sociology, foreign language, physiology, mathematics, business administration, healthcare administration, geriatrics, recreation, creative writing, hospital administration, and journalism. The nursing minors all depends on the personal interests of the students. It makes since to find minors that make students more marketable and can bring in the highest income potential possible. Many of these minors can enhance the joy that nurses experience on their jobs. For example, those who choose journalism or creative writing minors may write stories told by their patients and even publish some of the inspirational stories that can help other patients experiencing the same issues. A minor in administration may help those who aspire to run a nursing agency or hospital. Nurses can also use a minor in administration to pursue their dreams of owning their own businesses. Another area of interest may be nutrition. This minor can help patients improve the moods, health, and stamina of their patients so that these patients can live longer, healthier, fulfilling lives. A minor in a foreign language can also be very beneficial. It can be very helpful to speak the native tongue of patients when they are receiving medical assistance in their time of need. Patients can feel more comfortable and at peace with someone who can relate to them. Another great minor is psychology because it helps nurses understand their patients and themselves. It is important to create strong relationships with the patients and families since they spend a significant amount of time with these individuals. 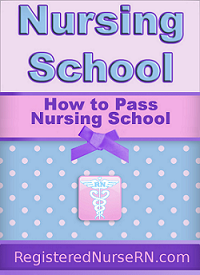 Choosing a minor in nursing school is very important to nursing students. They should use this opportunity to expand their knowledge to make themselves as marketable as possible in the nursing profession. Some may choose to find a minor that takes them outside of the nursing realm to offer services that enhance patient relationships. Some nursing students have a clearly defined idea about how they want to merge seemingly unrelated majors and minors into something that can be a wonderful asset in the nursing industry. Many may want to stay with a minor that their advisor suggests so that they can improve their relations with patients, family members, employers, and coworkers. Some want to move up the ladder in the nursing industry and this is the perfect way to do so. It is okay to listen to the ideas of others, but the final decision lies in the hands of nursing students. They have to be comfortable with their decisions since it is their futures. Choosing a minor is one of the most important decisions that nursing students will ever make in their lives. It is important to take some ownership in these decisions so that they can have long, happy careers that they enjoy for years and years to come.